In no time at all you can open an account, compose your first campaign, and designate your unique keyword, action trigger(s), and customer messaging all for FREE. With your new text to join campaign ready to go, you can begin promoting your unique campaign keyword via your marketing channels to get your customers engaged and excited. 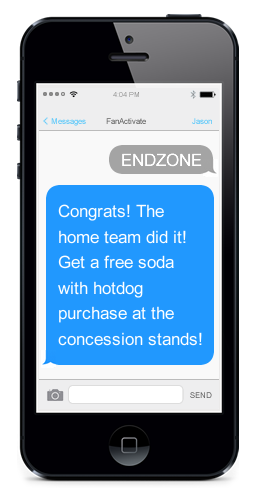 When the day of your unique sporting event is here, the FanActivate system will monitor the event watching for your pre-configured trigger(s), regardless of the outcome, supply your registered customers with your specified messaging via text. 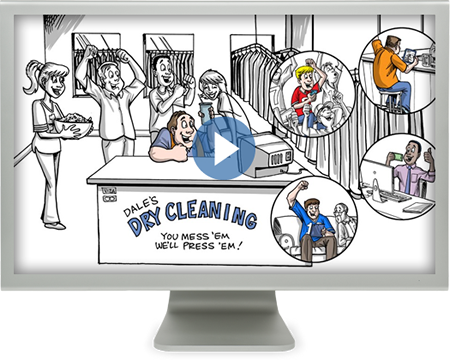 Customers are busy, and a little friendly reminder that your business is here to help them couldn’t hurt. 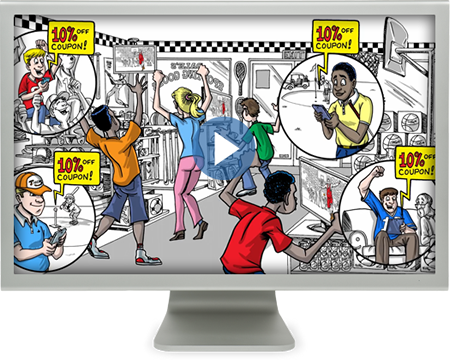 FanActivate’s system enables you to stay connected to your customers with additional promotions, specials, and reminders. As a Business you know how tough and expensive it is to build a Customer base and keep them engaged with your product or service. Consider you’re Customers or target Customers, are they as interested in your product, the way they are interested in their favorite athlete or favorite team? 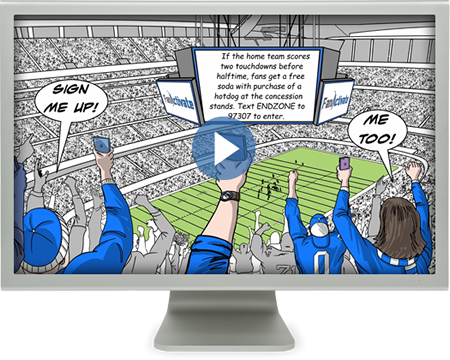 With FanActivate's system you can create engaging marketing campaigns around sporting events that your Customers care about that will keep them attracted and telling their friends about your Business. Customer loyalty is something that can’t be bought, but the more you connect with your Customers on a personal level, the better your chances are of earning that loyalty are. As you show your Business support of the things your Customers are passionate about, that loyalty grows. 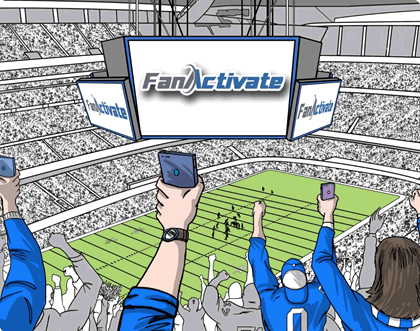 FanActivate provides you with a sports marketing platform to build that Customer connection and provide them with loyalty rewards that will keep them coming back for more. Staying connected is key! FanActivate's Campaign Reporting provides you with valuable insight into what your Customers are interested in and responding to. By communicating with your Customers about things that interest them, you will in turn strengthen your Business to Customer connection. With this knowledge you can then effectively utilize FanActivate's Broadcast Module to quickly and easily maintain your Customer connection with on-going campaigns, on any interval you choose (weekly, bi-monthly, monthly, etc.). Ready to start your own advertising? ©2014, FanActivate. All rights reserved.